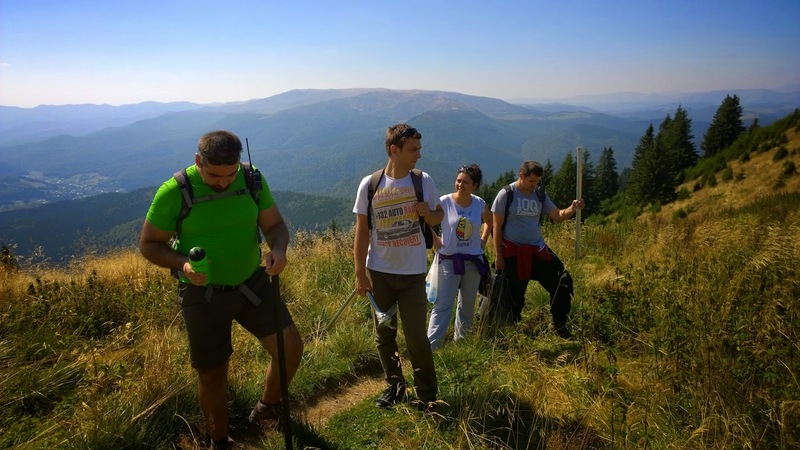 Ciucas X3 is a once-a-year trail running event that takes place in Romania’s beautiful Ciucas mountains – you might have read about them in my previous stories, as i’ve made two SOTA activations from the region: YO/EC-049 and YO/EC-057. There are 3 circuits (21, 42 and 105km long) across mountains, hills, forests, a village and the outskirts of a small town, some passing trough wild areas (there were even two brown bear spottings !). 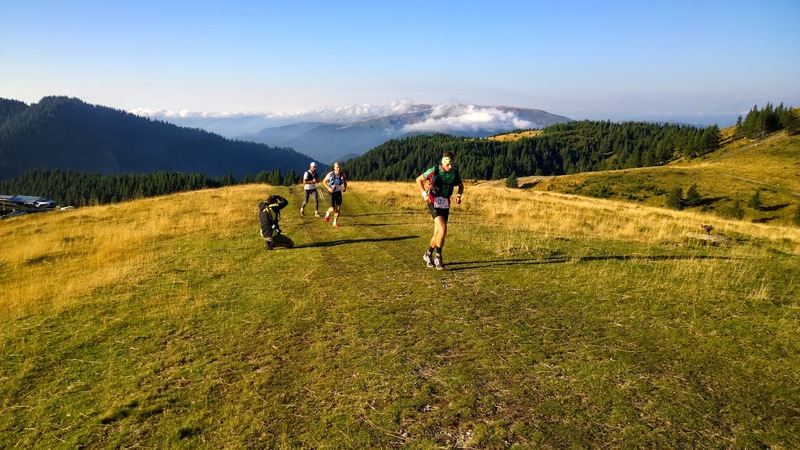 Over 600 runners take part in this event, plus almost another hundred staff members, volunteers, mountain rescue, gendarms – mountain division, etc. 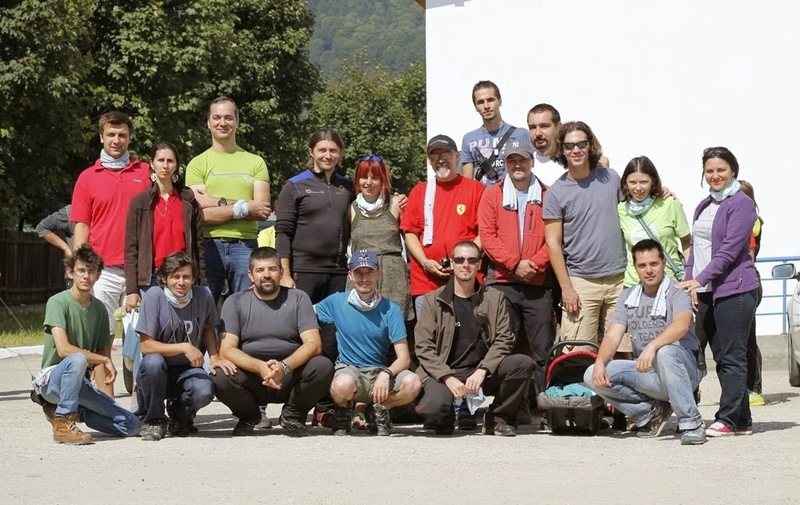 Together with other members of the RVSU (“Radioamatori Voluntari pentru Situatii de Urgenta” – Volunteer Radio-amateurs for Emergency Situations) we have ensured emergency communications for this event, like we do every year. Our service was necessary as a large part of the area doesn’t have GSM coverage and the mountain rescue doesn’t have enough men or nearly enough equipment to cover communications troughout such a vast space; the mountain gendarmerie use the mobile phones to keep in touch where possible, as their fancy TETRA handhelds are completely useless in such areas. for this event. Since September 2013 has been permanently installed in the current location, with 100% uptime during the last year (minus a few hours while maintenance was performed), and a APRS node has been added to it at a certain point in time (YO3KSR-3). We only needed to inspect it before the event and replace the antenna and cable with better ones, so a smaller group of us went there a day early and did the maintenance. 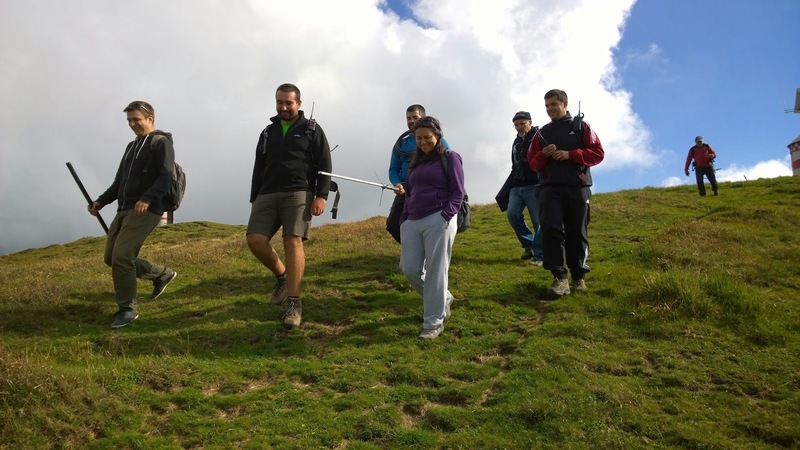 The 2 hour hike to the top was a good exercise (and Adrian YO4HHP took the chance to activate YO/EC-057 in SOTA). 2. Net Control station. 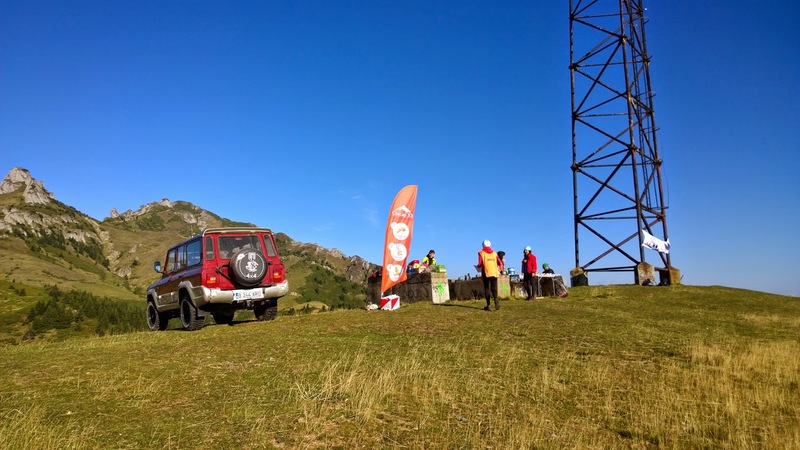 This was situated in the village of Cheia, at the event’s headquarters (near the Start/Finish line) and used VHF/UHF equipment. 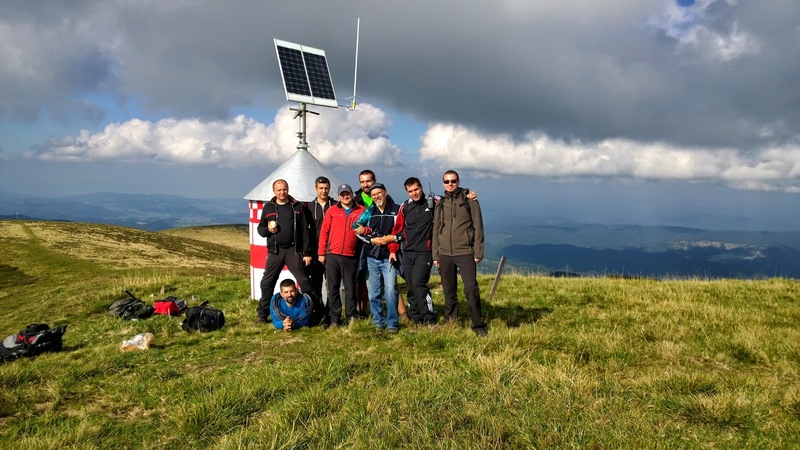 It was used as a communications node for all involved – with other radio-amateurs in checkpoints via UHF repeater, with mountain rescue via their VHF channel, with organisers and mountain gedarmerie directly or via mobile phones etc. 3. Backup station. This was installed in the last checkpoint before finish, in a place with good radio opening, automobile access, shelter with permanent and backup power supply. 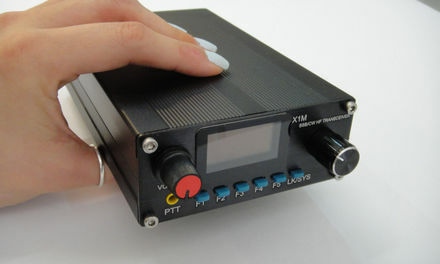 It used a more powerful VHF/UHF radio, a 6m mast and a high gain vertical, and also worked as a bidirectional crossband from VHF to the UHF repeater. This proved useful as the repeater input was sometimes disturbed by splatters from data transmission from nearby earthquake sensors, and weaker stations couldn’t always open the repeater in UHF. This year the even went very well, there were only two notable events. The first one, a tourist on a cross motorcycle fell and broke his leg somewhere along the trial path – he and his bike was recovered by the mountain rescue and he was taken to the nearest hospital for medical care; I don’t know about the bike though. The second, the last two contestants from the ultramarathon (105km) competition looked really tired at a certain point, they were really behind and they were strongly recommended to give up as we had vehicles in place to take them back to a hot soup and a clean bed. They wanted to go on, one of them reached the finish (although after a long time) and the second one got lost but luckily reached the Ciucas lodge where he could eat and drink something. Then he tried to get back to the original trail thinking he could finish, but this was almost 30 hours since he started and he was really tired, so the mountain rescue picked him up with an ATV. Thanks to Vlad YO3IHG for the pictures, I was too lazy to take any useful ones. For more details and much more pics, visit YO3IHG’s blog. Also, YO4HHP wrote about the event as well.